The construction industry has a proud history of building new equipment to get difficult jobs done, but when it comes to embracing modern technology to improve efficiency and productivity on the construction site, there is still progress to be made. 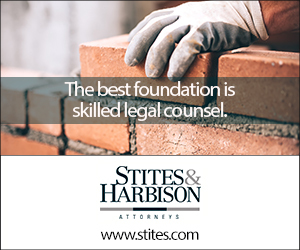 In fact, construction has had the weakest productivity gains from technology compared to any industry and is the least digitized, according to a McKinsey study cited by Modern Contractor Solutions in March. Construction projects are extraordinarily complex. Thousands of interdependent tasks have to be completed under tight timelines within strict budgets, to stringent quality standards, by a long list of people from multiple companies playing a wide range of specialized roles. Marcelo Tavares knows all about the complexity of large projects and the challenges with keeping everyone on the same page. As superintendent for the general contractor G.T. McDonald Enterprises, Tavares is currently overseeing the finishes on a large high-end project. In total, G.T. McDonald Enterprises is using Bridgit on two large projects in South Florida, a hotbed of luxury high-rise condo development, as is evidenced by the cranes marking the skyline. He manages all subcontractors handling everything from framing to finishes. 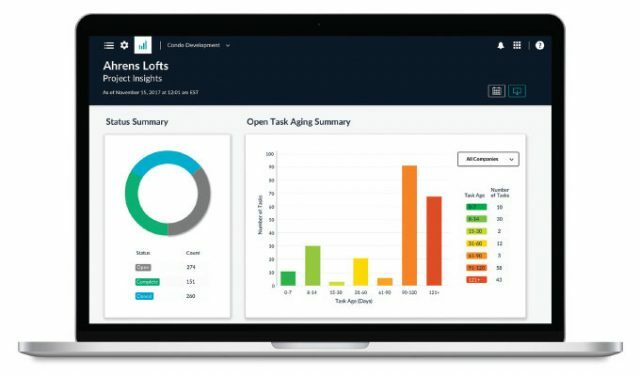 After years of using paper punch lists and Excel spreadsheets to keep track of tasks and what was being completed when, Tavares made the switch to Bridgit, a mobile construction management app designed to simplify communications and coordination, increase accountability and visibility, and improve quality. By giving everyone from tradespeople to site supervisors to developers to general contractors and subcontractors an easy-to-use mobile app and combining it with web reporting, integrated workflows, and automatic communications, Bridgit ensures work items and inspections are efficiently managed from project kick-off to completion, increasing efficiency, preventing rework, lowering risk, and helping projects finish faster. With so many moving parts dependent on each other, it takes actionable information, timely communication, and efficient coordination throughout the entire lifespan of a project to avoid delays and expensive cost overruns. These needs are important whether you’re building multiple high rises like G.T. McDonald or managing smaller projects. Shane Morrison manages the construction of new stores for David’s Tea, a retail company with more than 100 locations across the United States and Canada. Bridgit helps him keep track of progress at multiple locations when he can’t be everywhere at once. Of everything involved with construction, the parts of the overall project that offer the highest potential or slow things down are task and inspection management. No matter how big or small a project is, it still consists of specific tasks that have to be delivered on a schedule to a prescribed quality standard. If an early task runs late, it can have a domino effect that delays later steps and causes the entire project to finish late. Making sure tasks are completed quickly, in the right order, is only part of the challenge. Practically everything has to be inspected, both so that problems can be identified quickly and so that fixes can be applied as soon as possible— before they become less efficient and more expensive. Traditionally, task management, inspections, checklists, and reporting have been slowed down and complicated by a reliance on stacks of paper and hours of manual activity. But today, practically everyone on site is already carrying a smartphone or tablet, which makes it possible to integrate technology into the process to simplify and automate many aspects of the project. Technology can help with both task management and inspections, but the returns really accelerate when the two are connected. Tasks get assigned and communicated, then they get completed and logged in the field. Inspections happen right away, and any needed fixes instantly become tasks that get communicated automatically. Repairs are made quickly, and the entire project avoids delays and costly rework. Plus, the whole process is tracked through actionable reports that inform day-to-day activities, and the complete history of every work item and fix is available, which improves accountability. 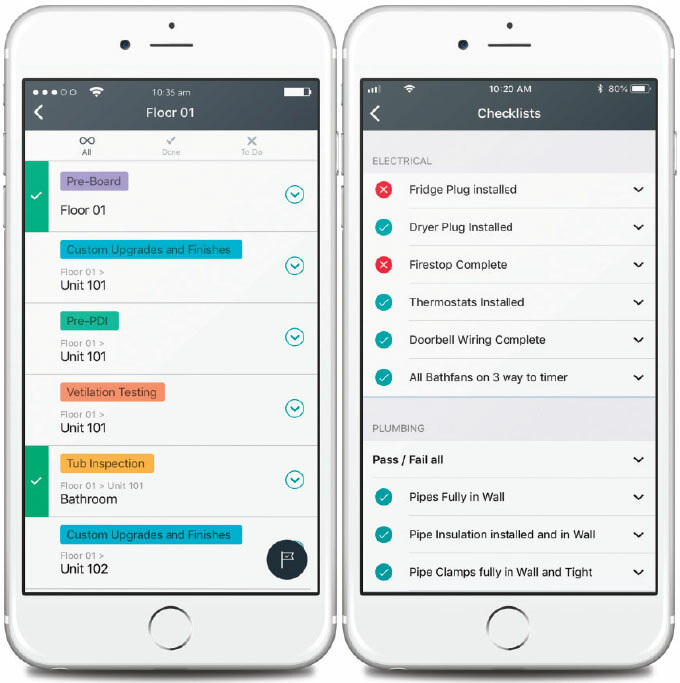 Earlier this year, Bridgit launched a new module to help contractors and project managers create checklists quickly and easily, track inspection progress, and identify problems before they become more expensive to fix. Bridgit Quality integrates with the app’s other modules to form a complete set of project management tools for construction projects of all types and sizes. projects of all types and sizes. Buttcon Limited, a large Canadian general contractor, uses Bridgit to keep track of various tasks across the 30 projects currently underway and recently adopted Bridgit Quality. Lauren Lake is a co-founder of Bridgit, a Canadian software company focused on developing mobilefirst solutions for the construction industry. Bridgit Quality is a new module in its project management app that simplifies site inspection planning to catch deficiencies earlier in the project cycle and make complicated projects easier to manage. For more information, visit www.bridgitsolutions.com.